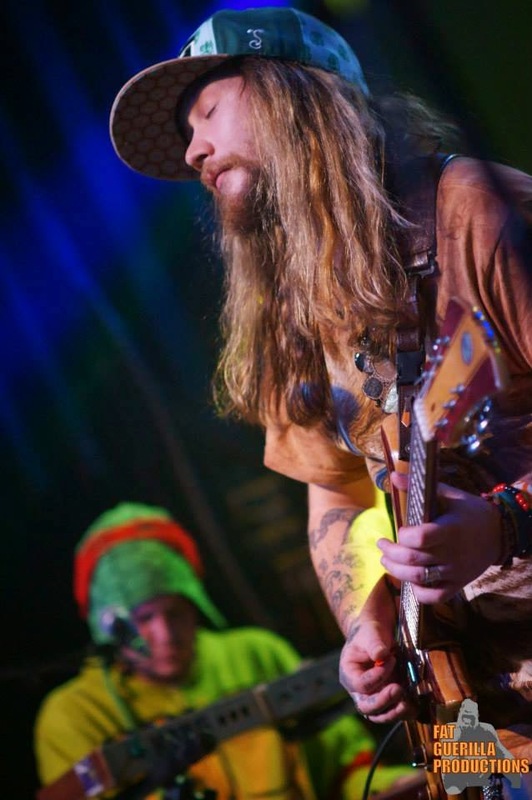 Twiddle is rapidly making it okay to say words like "jamband" and "noodling improv" again. They are part of a new generation of jam that has taken note of everything that has come before created an extraordinary musical synthesis. 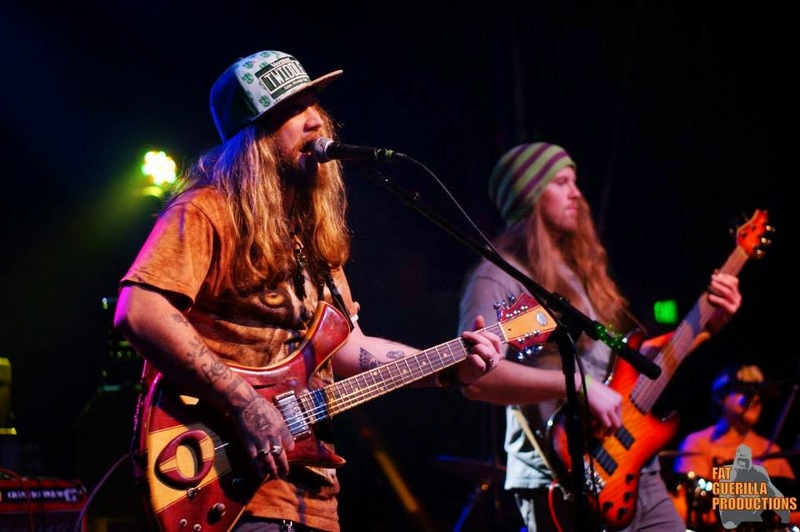 Twiddle hails from Vermont the land that Phish made famous. Since their performance at Arise Music Festival, they have been making regular tour stops across Colorado and have been quickly gaining fans here. This tour marked a four show run through the state that began in Fort Collins and ended at the Belly Up in Aspen. They invited Boulder phenom Jaden Carlson and her band to open up the night. Jaden has been wowing audiences all over Colorado for a number of years. 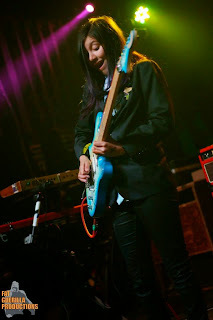 I’m not overstating when I say her style is reminiscent of Jeff Beck meeting Jimmy Page. Perhaps more startling, she is barely past her preteens. She has assembled a power trio consisting of herself on guitar and vocals, Will Trask on drums, and Eric Luba on left hand bass and keys. With Luba cranking out the rhythm with his off hand they have the sound of four players. Their set started early around 8:45 PM. Their music is fusion rock with elements of funk and soul tossed in for good measure. Twiddle keyboardist Ryan Dempsey sat in on “No Use Hanging Around.” Mihali Savoulidis sat in on guitar for “Virtual Insanity.” Jaden is impressive to say the least. She has the skill of a musician well beyond her years. The X’s on her hands were barely visible as she shredded the night away. Seeing her live causes instant fandom. They played for about an hour total before they made way for the headliner. The fact that they filled well over two hours time with just seven songs should give you an idea about the scope of this bands jamming capabilities. 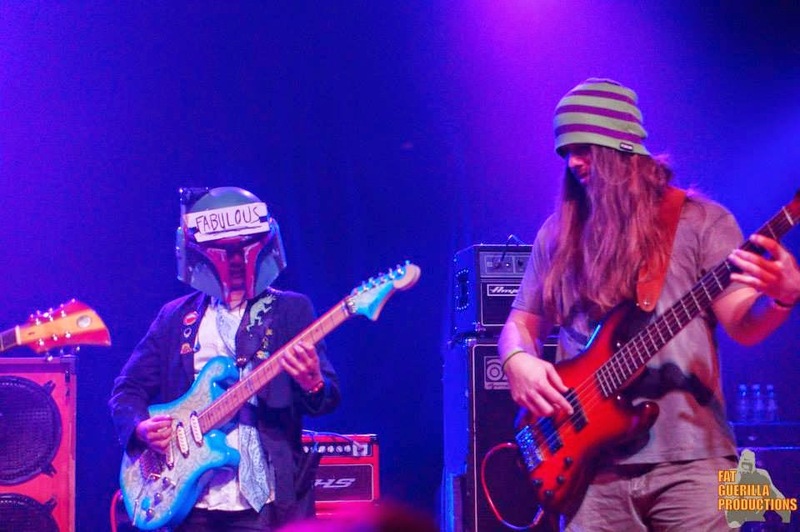 Taking the classic four-member approach, Twiddle is all business. “Beehop” began as a frenetic jazz tune before it exploded into a heavy progressive rock jam. Fans rejoiced for “Carter Candlestick” that again featured some rapid-fire lyrics from Savoulidis. Eric Luba returned the favor sitting in on “Apples” which sounded a bit like a Dave Matthews tune on speed. They teased Hendrix’s “Voodoo Child” during the beginning of “Latin Tang.” This song was a massive musical journey accentuated by Latin tones and reckless abandon. They invited Jaden back to the stage for the bombastic “Frankenfoote.” Twiddle continued on as Carlson exited the stage. They closed with “Be There.” They returned to encore with their driving ode to “Cabbage Face.” This band has it all, versatile vocals juxtaposed against impeccable musicianship makes Twiddle a contender. Seeing them live gives me hope for jam and jam fans alike. They certainly tour like a jam band having already announced their plans to return to The Centennial State in the spring. Twiddle is the great white hope of jam. Their conquest is imminent, wait and see.